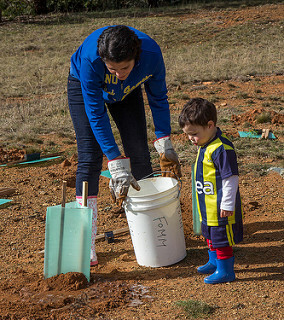 Make a splash at The Fair and help to water the trees, shrubs and Everlasting daisies planted on National Tree Day! Come when it suits you and give as much time as you like. Bring: Garden gloves, sun protection, drinking water and wear sturdy shoes. We provide morning tea, tools and equipment. Explore Mount Majura’s wildflowers that are blooming this season on a stroll with local ecologist Michael Doherty. A flora species list of Mt Majura / Mt Ainslie will be available for a gold coin donation. Where: Meet at the nature park entrance at the Kellaway Street car park. 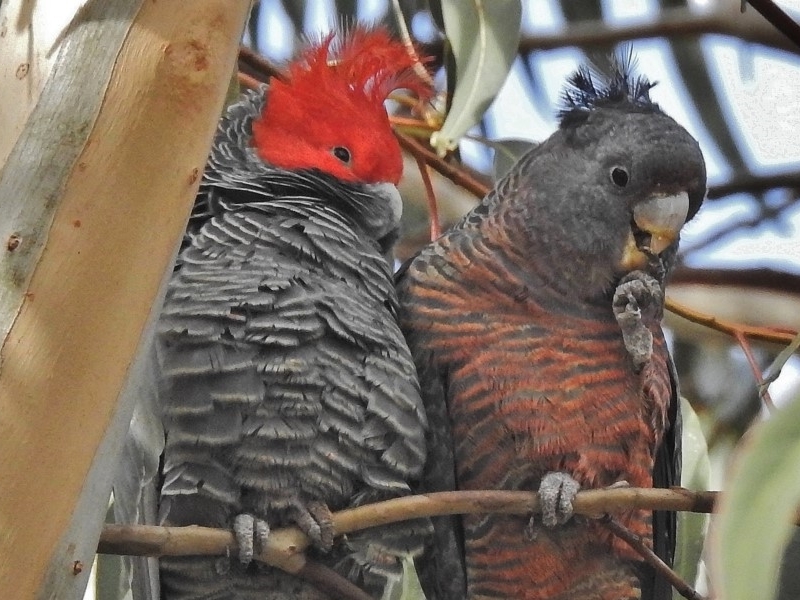 During 2014 a most successful survey on the distribution of the Gang-gang cockatoos in the ACT was held to celebrate 50 years of birding activities by the Canberra Ornithologists Group. Surprisingly the 2014 survey did not definitely confirm the presence of any nest trees, and there are just three trees known in the Canberra area in which Gang-gang chicks have been reared. Locating further nest trees will help to better understand and conserve this species. A student at the ANU is keen to develop the survey further by examining in more detail the birds’ nesting requirements. You can help with the survey by reporting breeding observations as a sighting on Canberra Nature Map. Hackett will party on Saturday 27 October at the local shopping centre and the party organisers have invited FoMM to run an information table. Please contact this email if you have an hour or so between 9am and 2pm to help man a table. The info table would be a great opportunity to launch a new Weed Swap initiative that the ACT Government and Australian Native Plant Society Canberra Region plan for the first weekend in November. All material for the table will be provided. Some FoMM volunteers who regularly contribute to our conservation work have recently inquired about how to register on the ParkCare Hub. Please visit the FoMM May 2018 newsletter and scroll to “FoMM now on the ACT ParkCare Hub website“. There will be a number of training opportunities for registered ParkCare volunteers before the end of the year! The Australian Native Plant Society Canberra Region (ANPS) will hold it’s Spring plant sale @ the Australian National Botanic Gardens southern car park. 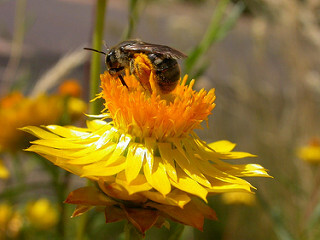 A wide range of native plants suitable for Canberra’s climate will be available. Click here for more information and a list of plants for sale. The ACT Government is developing this strategy to look at how we can showcase and preserve our natural assets while supporting sustainable growth and strengthening our economy. A community survey is now open including an interactive map where you can identify your favourite nature experiences. Click here for more information. Help map European wasps in the ACT. The European Wasp Hotline is a free advice service. For nest reporting and treatment/removal advice, contact the eWasp Hotline. Check out the website and associated app here. As part of National Wattle Day celebrations on 1 September, the federal environment department launched the new ‘Wattle: Acacias of Australia’ app which helps users identify over 1070 species of wattle. Click here for more information and to download the app. #APCC12 Hear from Tobias Hayashi from the ANU Research School of Biology on the pollination of the critically endangered Canberra spider orchid (Caladenia actensis), with a view to translocations. Understanding the distribution of the pollinators, particularly if they are rare or localised, will be crucial in order to determine suitable areas for translocation. Catherine Ross from ANU Fenner School of Environment & Society will present on the reintroduction of Bettongs into Mulligans Flat Woodland Sanctuary in Canberra. Her results indicate that bettongs play an important role as ecosystem engineers in grassy woodlands. However, after an absence of over a century, their reintroduction may have unexpected consequences. Download all the abstracts here. The Conference Program will be released very soon. Registrations close 26 October. Click here to register!